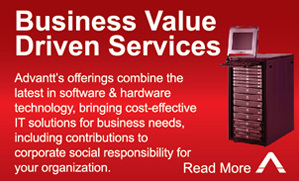 At Advantt, we constantly help our clients to generate maximum business value through the use of technology. Our aim is to strengthen organizations around the world to operate with greater efficiency and agility to meet the demanding needs and challenges from their markets and competitors. Advantt helped a client to develop base IT Infrastructure for their new office building setup saving them 20% on setup and hardware costs and 50% on IT operational costs. 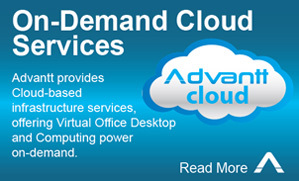 Advantt has helped a client in the electronics industry to complete the first phase in preparation of their IT infrastructure to be moved to the cloud. This is estimated to save them 60% in operational costs. 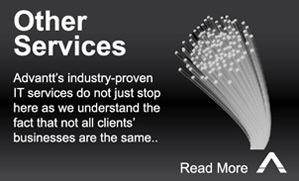 Advantt has helped a client in the government sector to improve their IT infrastructure utilization rates through virtualization saving them costs and preparing them for their journey to a private cloud. Advantt helped a client to extend their marketing and sales arms to include a unique online presence that aims to improve the speed and quality of property information that are provided to property buyers.